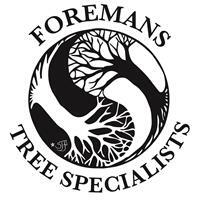 Foremans Tree Specialists - Tree Surgeon based in Wood Street Village, Surrey. Foremans Tree Specialists are an honest, reliable and highly trained and qualified team of professional arborists. All our work is carried to the bs3998 standard, and we leave no stone unturned when it comes to customer satisfaction. With 5 Million public liability insurance and 10 million employer’s liability insurance, we are ready to take on any size job from small garden works to large scale site clearance, no job is to big or too small for Foremans Tree Specialists. Contact us for a free estimate. We are on 24hour callout, so we are always there for you when an emergency situation arises.